I am a business-psychologist, author, technologist, entrepreneur, professor and a Life & Business Strategies Coach. I specialize in personal growth, business, leadership and career coaching with private practices in Atlanta, Los-Angeles and Washington, DC. My agency has helped celebrities, athletes and other high-profile clients identify their “purpose” and through proven techniques I have guided them toward success. I am a collaborative, solution-focused Coach. Through this approach, I provide support and practical feedback to help clients effectively address personal life challenges. I also integrate coaching techniques and helpful assignments to offer a highly-personalized program tailored to you. With compassion and understanding, I work with you to help build on your strengths and attain the personal growth you are committed to achieving. I received my Bachelor of Science degree from Auburn University; a Doctorate in Psychology from the Colorado School of Professional Psychology at the University of the Rockies and completed post-doctoral certification in Personal Leadership at Columbia University in NYC. 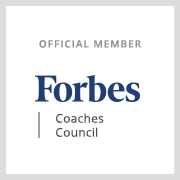 I am a member of the International Association of Coaching; The Institute of Coaching at Harvard University and am a certified mediator and conflict management strategist with the Georgia Department of Dispute Resolution. My research on “Female Rivalry in the Workplace,” was recently excerpted in the Journal of Psychological Issues in Organizational Culture; and The Journal of Leadership Studies. I also offer talent acquisition and other organizational development solutions. The recruitment division of my company is known as the “Staffing Agency to the Stars™ in Hollywood circles. Contact me! I'd love to COACH you toward your purpose!